The nation’s diet is under the microscope. That is not only for health reasons. There have been a number of problems relating to labelling and indeed gross misrepresentation of what is actually being sold. Recently the Food Standards Agency (FSA) admitted that there were problems countrywide with the actual content of products being sold as lamb. It has called on local authorities across the country to check whether consumers were actually getting what they thought was lamb. Over 20% of lamb products contained other meat. 5% had no lamb at all and there was occasionally pork which is forbidden in some religions. Artificial colourings were in widespread use. This is particularly concerning because of previous findings including one from which? Magazine which highlighted the problem back in 2013 where as much as 40% of what purported to be lamb was not exclusively so. The improvement is completely unsatisfactory in everyone’s eyes. The problem is that lamb is expensive relative to other commonly available meats. It seems it is too tempting to mix these meats with lamb and occasionally use no lamb at all. After the FSA’s observation, food inspectors will indeed be going round without warning to take samples of what is being sold. Time will tell whether the takeaway sector will respond. Some places have already received warnings and fines; more will surely follow. 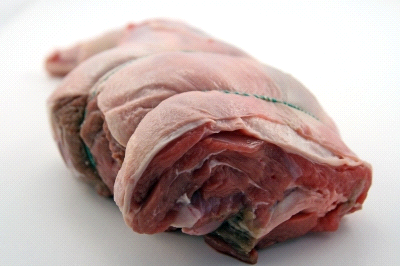 Lamb is a popular dish in many countries. Kebabs and curries are served in restaurants and takeaways of course. The meat used is unlikely to be identifiable by the consumer once cooked. That is in sharp contrast to a Halal lamb leg which is obvious immediately by its appearance. It raises the whole issue of buying meat fresh and unprocessed as opposed to going to places where what is being served is taken on trust. There are now companies prepared to not only deliver consumers’ orders to the door but also divulge the origin of the meat they sell. There is very little that is not sold online these days. Fresh meat in chilled containers and outer packaging can be ordered to arrive fresh just a few days after an order is placed. It will never have been frozen so a consumer can do that if the meat is not to be used immediately. A nice leg of lamb perhaps with rosemary and even garlic and ginger may certainly become a family favourite. There is no mistaking a nice leg of lamb.